BRYAN EATON/Staff photo. Amesbury's Cashman School hosted a "Read Across America" day with people from the community donating a half hour reading to different classes. 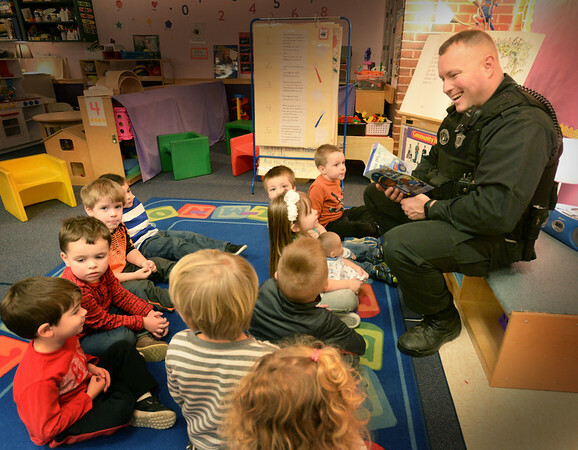 Massachusett's state trooper Brian Bonia read "Police Officer" to Alice Bettencourt's pre-kindergarten class.